Health campaigners continue to argue vigorously against a market in NHS care. We demand that the NHS should be publicly provided and brought back fully into direct and accountable public management. We opposed the fragmentation created by the 2012 Act. We are opposed to handing over control of the NHS to new unaccountable public-private alliances and private companies. We call for an end to charges for overseas visitors and checks on patients to restrict entitlement. We support the NHS (Reinstatement) Bill that would achieve these demands. It’s tempting to dismiss the NHS Long Term Plan, published by NHS England on January 7, as an unrealistic wish list of developments completely divorced from the real constraints on resources. What is shocking is the virtual absence in the Plan of discussion and proposals to address the severe problems facing the NHS. Instead, at the core of the Plan, the major restructuring of the NHS goes forward at pace. The idea is floated that the NHS take back responsibility for some public health provision. Many will also be pleased to see NHS England’s request that the government rescind regulations enforcing contracting requirements of the 2012 Health and Social Care Act that make CCGs parcel up services and put them out to competitive tender. This is a way of reducing the current market chaos created by thousands of piecemeal contracts for services, as required by the Act and its regulations, and is necessary to give any legal authority to the new bodies the Plan aims to set up. However it does not by any stretch mean the exclusion of private profit. Indeed it leaves the possibility that control over bigger centralised budgets could be up for grabs. Nor is it even clear that the government accepts the proposed changes, since they could have already been accomplished administratively by ministers without fresh legislation, if they wished to do so. Nobody would oppose the removal of these obstacles to planning and collaboration between providers created by Lansley’s Act, but much more radical action is needed to reverse the damage done by the Act as whole. These relatively minor positive elements must not distract us from the hard proposals in the Plan for a further top-down reorganisation of England’s NHS – into a centralised structure of 44 “Integrated Care Systems” (ICSs) which are to “grow out of the current network of Sustainability and Transformation Partnerships” (STPs). They are to be policed by regional directors and a network of ‘joint NHS England and NHS Improvement regional directorates’ announced in November. That’s the meat of the Plan. None of these new structures will be in any way accountable to the local people and communities they cover. Each ICS would work to an ‘Integrated Provider Contract’ – along the lines proposed by NHS England last summer, and opposed by many campaigners in the consultation that ended last October: as was the case then, there is no guarantee that these contracts could not be awarded to or sub-contracted to the private sector. The plan also requires more forced mergers of the existing Clinical Commissioning Groups to reduce to just one CCG per ICS. CCGs are also required to cut their management costs by another 20%, ensuring they are reduced to rump bodies with residual token power, in practice accountable to nobody. Trusts, too, would be required to collaborate with the wider ICSs. The “integration” is primarily seen as taking place within the NHS. Unlike STPs, the new proposed ICSs place little emphasis on joint working with local government, which is only mentioned once, fleetingly, when the Plan suggests there is a “clear expectation” that “local authorities, the voluntary and community sector and other partners” will wish to participate (p30). It seems the local authorities have once again not even been consulted on the Plan. Indeed if NHS England follow the model of the STPs that were hatched up in secret in 2016, none of the Plan would be subject to any consultation with staff, the public, or anyone else. To add further misery for many patients, GPs will be required to sign up to new “network contracts” covering populations of between 30,000 and 50,000. This would mean more local GP surgeries will be forced to close, with services lumped together in centralised “hubs,” offering less personalised and less continuity of care at longer distance for many patients – again with no prior public consultation or consent. This follows long-held government and NHS England plans to reduce from 7,500 practices to just 1,500 in England. There also is an implicit threat of privatisation in the proposals for new pathology networks and imaging networks to be established, in the absence of the necessary NHS capital for investment. Trusts are told they must also aim to increase the funds they get from charging patients for treatment – “overseas visitor cost recovery” – a policy which will raise little money in relative terms, but which will deter some patients from accessing the services they need, undermines the principles and values of the NHS, and which is opposed by medical Royal Colleges. In December the Health Service Journal, revealed that NHS Improvement is trying to pressure trusts into seeking one-off savings (including a fire sale of “surplus” land and buildings) to help them get closer to, or even lower the “control totals” which limit the level of their deficits. NHS Improvement has offered trusts a controversial incentive of £2 from ‘Sustainability Funds’ for every £1 reduction to their control total this year. However NHS Providers has warned that this is most likely to benefit the already better-off trusts rather than those with the most intractable deficits. There is also a decisive move to tighten up trust and CCG finances, with the aim of eliminating all deficits by 2023/24. This is ambitious, considering the 65% of acute hospitals face deficits totalling £1.8 billion, in addition to long term borrowing from the NHS (bail-out funds) ten times bigger, at almost £12 billion. Almost half of all acute trusts have refused to accept their control totals in 2018/19, because of the scale of cutbacks required, while others are struggling to comply with theirs. The LTP now says the 30 most indebted trusts are also to be subjected to an “accelerated turnaround process” to shape them up for the discipline of joint ICS budgets..
For CCGs and providers alike, those with the toughest problems, and often with the most inadequate resources, face the hardest targets and the harshest treatment. The Operational Planning and Contracting document, published on December 21 made clear that CCGs with “longer standing and/or larger cumulative deficits will be set a more accelerated recovery trajectory,” while many would in any event be forcibly merged with others in the drive to establish Integrated Care Systems within two years. In the absence of adequate funds, staff or a serious implementation plan, the Long Term Plan has to say something to sugar the pill, and so it rattles out upwards of 60 uncosted commitments to improve, expand or establish new services. Most of them, if taken at face value would be most welcome – but which taken together in this context are completely unaffordable, unrealistic and incapable of implementation. There is promise after promise, many of them sounding great: prompt response services, proactive care, flexible teams, neighbourhood teams, primary and community care teams, community multidisciplinary teams and upgraded support. All these are presented in happy-clappy, completely abstract terms, without explaining how they were chosen, who would be responsible, or the timescale for implementation. Sweeping changes that are proposed to the type of care provided. NHS England is embarking on a mission to cut out a third of outpatient appointments (30 million fewer), on a series of questionable assumptions and citing only the views of medical consultants without addressing the needs of surgical patients. Big changes are also proposed for how to access GP services: patients will be given a new “right” to switch from their existing GP to a “digital first provider” and all patients in England will be offered access to online or video consultations by 2023. There is no corresponding right to insist on a face to face consultation. There are proposals for a third type of emergency care, alongside Urgent Treatment Centres and the existing Emergency Departments: a poorly-defined system of “Same Day Emergency Care” is supposed to be rolled out to every hospital with a full A&E, aiming to discharge patients on the day of attendance. However this new model further fragments an already highly stressed service and requires significant investment in expanded diagnostic services. Nor is there any guarantee in the LTP that patients would get anything other than “assessment” before being packed off home, to the mercies of cash strapped community and social care services. The obsession with digital access runs as a theme through the Plan, and ignores recent research that showed Skype-type online consultations are suitable for only small minority (2-22%) of hospital outpatients, with many clinics finding them completely impractical. There is growing evidence of the weaknesses and limitations of the much vaunted Artificial Intelligence chatbot produced by Babylon, and similar digital innovations lack evidence they are effective, or cost effective. Of course it’s impossible to discuss the Plan’s content without also addressing the vital issues that are omitted from it. An enormous number of major issues are either ignored completely or blithely brushed aside in the 136-page Plan. These include the declining actual performance of trusts; the inexorable rise in emergency caseload; the insufficient capacity in acute and mental health services and bed shortages; the disastrous financial plight of most acute trusts; the workforce crisis compounded by the Brexodus of EU-trained staff; the £8 billion and rising bill for backlog maintenance; the cuts inflicted in mental health and community services; the cuts in public health budgets; the widening gap in society between rich and poor and the resultant inequalities in health – exacerbated by unchanged austerity and reactionary government policies on housing, welfare, education, and local government: and of course the gathering crisis of a dysfunctional social care system. Over and above these omissions, both the Plan, and the Operational Planning and Contracting document, are visibly incomplete as plans: no workforce plan has yet been published, and there is no evidence work on this has advanced at all; the “framework for implementation” is promised for “spring” (presumably spring 2019? ); and there is clearly not enough money in the pot to pay for all the new ideas. 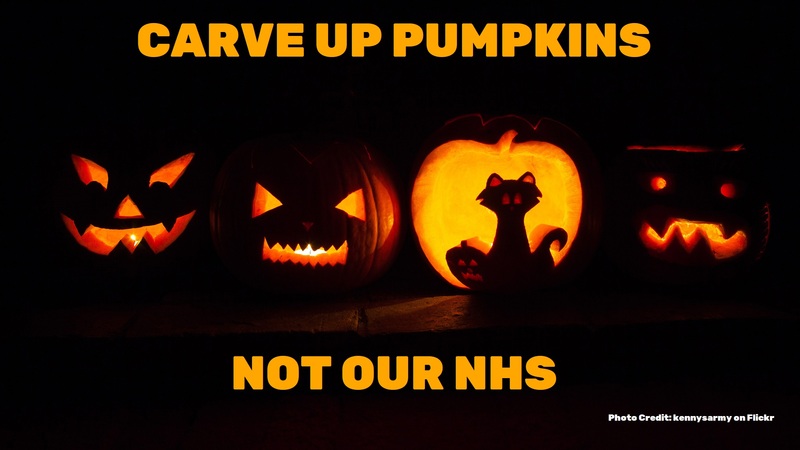 Every informed observer has warned that the famous £20.5 billion “extra” funding over five years repeatedly announced since last summer is not enough to do much more than stabilise the NHS and keep the lights on. But the situation is worse still: the amount of capital available to fund any substantial new projects will not be known until the Spending Review in the autumn. Nonetheless the December document outlined a break-neck pace for a clearly impossibly ambitious timetable for changes, in which the first deadline for major decisions has already passed (January 14) – just a week after the Long Term Plan and 13 working days after the December document appeared. Managers are already running just to catch up. Sadly it’s clear that with the financial constraints limiting any real improvement, and a new system being imposed from top down and accountable only upwards to NHS England, patients will have less voice and influence than ever in the shape of services and their access to them. Everything about us will be decided without us. So despite the jolly phrases and the misplaced optimism of its tone the Long Term Plan is a medium term threat to the services we all depend upon – and our ability to find out what’s happening and fight back locally to defend the services we need. Campaigners and union activists need to keep a very close watch on the decisions and actions of trust boards and CCGs as the NHS is pushed at reckless pace towards changes we cannot accept. We need more than ever to brief politicians and urge them to stand out against policies that will weaken local services. Keep Our NHS Public are coordinating action against the Long Term Plan. 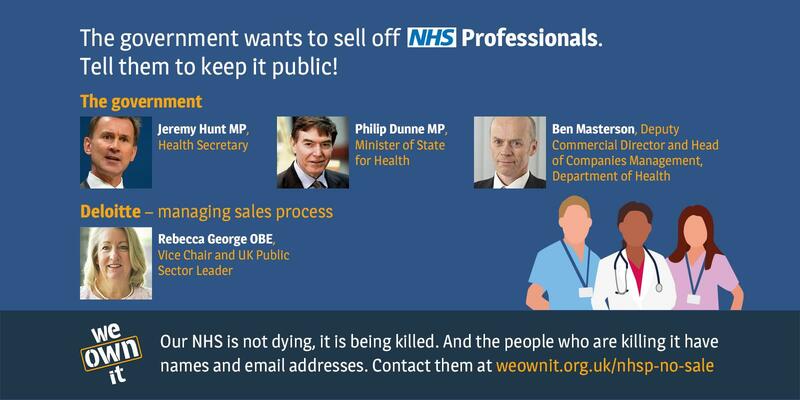 Join their rally outside the NHS England board meeting at 10am on 31 January.